The February 23rd activities will commemorate George Washington's birthday and the Virginia Colony mission demanding French withdrawal from British territory that precipitated the French and Indian/Seven Years War. 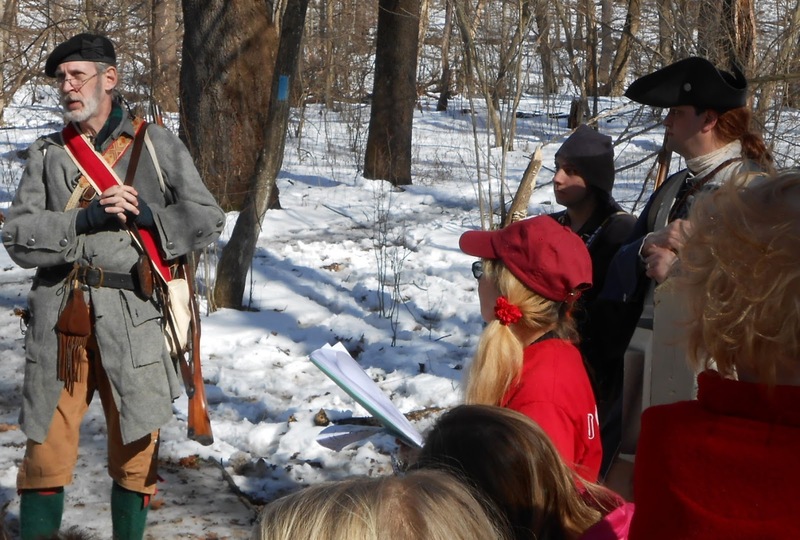 Participants in the 30-minute history hikes will learn explanations of Washington’s 1753 mission and witness the musket shot that almost killed Washington at age 21. There will also be historical displays, and reenactors with clothing and equipment of the time period. The day-long event will begin at 8:30 a.m. and end at 2:00 p.m. It will also feature 45-minute winter nature walks led by Jennings’ staff, and a 7-mile hike along a section of the North Country Trail where Washington may have traveled. For those interested in the 7-mile long hike, it will most likely last from 9:00 a.m. until approximately 1:00 p.m, depending on hiking speed. This long hike will cover 7 miles from the boat launch located under the Route 528 bridge in Moraine State Park to Jennings. The long hike is recommended for ages 12 and up. The long hike is rated “moderate,” and will traverse varied terrain, with some slopes and winter trail conditions (it is NOT suited for tennis shoes). Participants should park and meet under the 528 bridge to begin the hike. They may hike back or return via shuttle. Call 724-290-2129 if you have questions or are not able to register online. Participants can choose one or more favorite hike options and enjoy a taste of cherry pie, courtesy of North Country Brewing Company. The event is free and open to the public, although a $3 per person donation will be encouraged for participation in the guided hikes/walks. Reservations are required for hikes and nature walks by February 21. Carpooling is encouraged, because parking may be limited. Many thanks to the generous sponsoring organizations: Butler Chapter of the North Country Trail Association, Washington's Trail - 1753, Harmony Museum, Butler County Tourism and Convention Bureau, and Jennings Environmental Education Center.